Shift quicker with full use of floor-board! HT-1: Improved shifting performance and control. 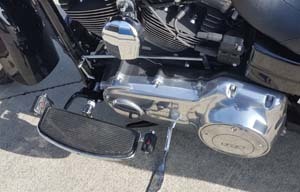 The HT-1 Quick Shift Heel/Toe shifter allows for quicker more controlled shifts on the H-D Touring motorcycles. 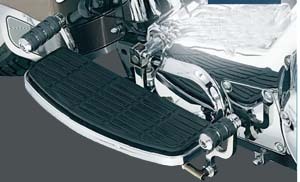 The HT-1 allows removal of the front and rear stock shift levers allowing full use of the floor-board. The shift action is very fast as the lever action is shorter. The rider never has to raise his/her foot off the floor-board to shift. An easy motion rearward up-shifts and an easy motion forward down-shifts. Shift motion makes it much easier to find neutral. 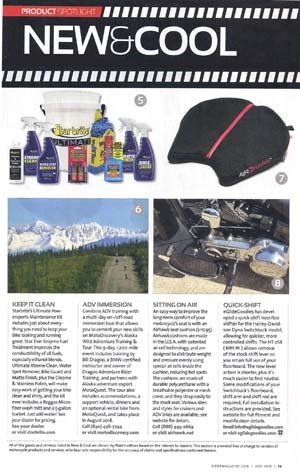 The forward motion to downshift feeds more natural and balanced when coming to a complete stop on the big touring bikes. 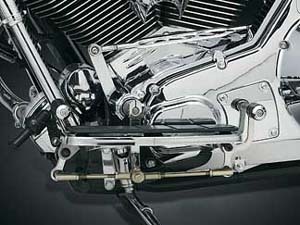 Features include polished stainless shift arm and shift lever. Heavy duty linkages and ball joints mount underneath the floor-board without affecting ground clearance. Shift arms pivot on replaceable/serviceable bronze bushings. 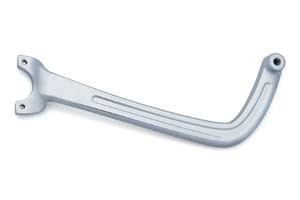 Shift arms accept stock or custom shift pegs. Fits '93 to current H-D Touring models stock floorboards (ex. FLHTCSE, FLHTCUSE, FLHRS, And FLHX). May be used on '92-earlier models if left front footboard mount is updated with '93-newer style. Special order item. 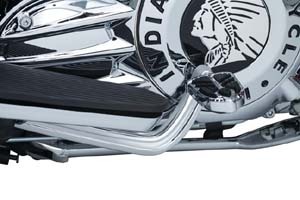 Note: Installation on models with fairing lowers requires a notch to be cut in the bottom, trailing edge of the fairing lowers (approx ½ “x ¾ “). To mount the brackets to the floorboard it is necessary to enlarge two drain holes for the bolts to mount the brackets. HT-1UK: Same as above but with the correct spacers added for use on the Ultra Limited model. Special order item. HT-2SB: Similar to above but for the Dyna Switchback platform. Requires purchase of one bolt and one extra foot peg to match your current one. Some minor modification required. Install instructions provided. Special order item. SL-48: Add the convenience of a heel shift option without minimizing all-important floorboard space. Features an ergonomic design that extends past the rear of the floorboard for effortless shifting, and accepts shift pegs for Indian. Easy bolt-on install to the factory toe shift location with included hardware and spacer. Does not include shift peg. 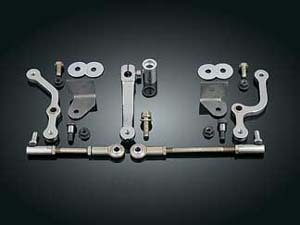 Accepts most aftermarket and Indian OEM shift peg (all sold separately). 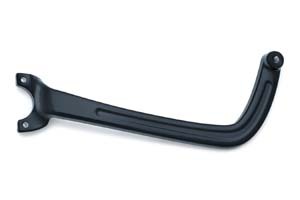 Durable aluminum construction available in gloss black finish. Includes hardware and spacers for easy bolt-on installation. Fits '14 to current Indian Models (except scout). 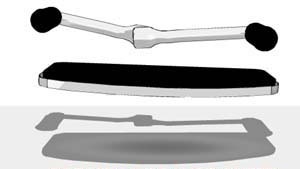 SL-49: Similar to above but in chrome.